Facebook's astonishing US$261 million deal to acquire the streaming rights of English Premier League (EPL) matches in Thailand, Vietnam, Cambodia and Laos from next year until 2022 has made TV operators in the Southeast Asian countries be like cats on hot bricks. The world's most powerful social media platform just clinched the deal worth about £200 million ($261.33 million) in July, to become the only place to stream all 380 Premier League matches per season from 2019 to 2022 in Cambodia, Laos, Thailand, and Vietnam, The Times reported. 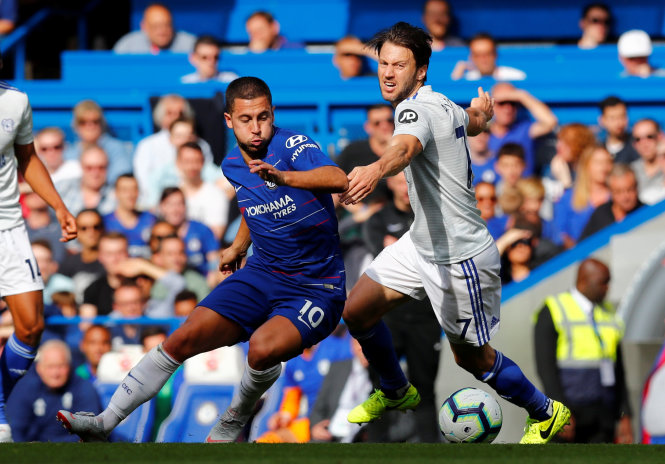 This is Facebook’s successful bid in an auction against various TV networks, which currently have the exclusive EPL broadcast rights in Southeast Asia. As Vietnam is among the countries affected, Vietnamese insiders worry that the social media giant’s strong move may mean a critical blow to digital TV and pay-TV operators in the Southeast Asian country. It is understood that under the pressure of the new heavyweight rival, the Vietnam Pay TV Association (VNPayTV) suggested administrators not allow Facebook to stream EPL matches in Vietnam. “Unless Facebook complies with the Competition Law and requirements related to censorship, editing and Vietnamese translation,” VNPayTV wrote in a letter to the Ministry of Information and Communications (MIC). VNPayTV said Facebook must also comply with the Press Law and provide Vietnamese commentary for the matches since Vietnamese regulations define any agency that broadcasts television programs as a press agency. Prior to the 2018-2019 season, jostling for the EPL rights was merely the internal competition between domestic broadcast TV stations. Vietnamese national broadcaster VTV and digital broadcaster VTC used to broadcast the games for free, while cable network television K+ has recently charged viewers for watching the EPL. The EPL thus has always been a high-turnout sporting program, making its streaming rights consistently among the priciest. Now, with deep-pocketed tech companies such as Facebook bidding for the league, the costs to broadcast live games could surge. With plenty of cash to spend, the problem to Facebook is just what the global tech is thinking and how much money it is willing to pay, whereas domestic TV networks have to compete with a budget. Moreover, Facebook had had more than 60 million Vietnamese accounts by the end of July, compared to 14 million paid television subscribers and more than 25 million households watching free broadcasts, according to the General Statistics Office. Facebook, though new in the market, could therefore easily outplay Vietnamese broadcasters. Amazon bought those same rights for both the 2017-18 and 2018-19 seasons. Twitter also won a three-year package of Major League Soccer (MLS)’s games, beginning in the 2018-19 season in March 2017. In June this year, Amazon snapped up exclusive rights to Premier League matches in the UK. The world’s top e-commerce player Amazon has also broadcast competitions such as the U.S. Open and several ATP World Tour tennis events. In August, Facebook inked a landmark deal with Spain’s top-flight soccer league La Liga, which will allow viewers in India, Afghanistan, Bangladesh, Bhutan, Nepal, The Maldives, Sri Lanka and Pakistan to watch every game over the next three seasons for free on the social network. These deals signal technology companies’ interest in establishing themselves as the go-to places to watch sports around the world. Recognizing this trend, VNPayTV also called on the ministry not to license foreign over-the-top (OTT) media services like Netflix and Amazon Video for the time being in its letter. It said the ministry should crack down on Competition Law violations by OTT media services and pay-TV firms, and consider blocking services by foreign providers that are monopolistic. Commenting on the issue, Nguyen Quang Dong, director of the Institute for Policy Studies and Media Development, under the Vietnam Digital Communication Association, said that he understood VNPayTV’s protection for its members as a representative of the pay-TV business. “However, I think that many points in VNPayTV’s proposal are not legally grounded,” Dong commented. “Facebook will not enjoy the value of this alone when it broadcasts the English Premier League in Vietnam, but it will also create spillover effects for other businesses, such as stimulating e-commerce systems in Vietnam,” Dong anticipated. A survey of digital marketing in Vietnam by Q&Me in September 2017 revealed that 99 percent of brands, including e-commerce companies, use Facebook for their digital marketing strategies. “MIC will have to consider common interests and cannot only protect the interests of the pay-TV business,” the director of the institute said. “Moreover, the monopoly of live sports is not only implemented by Facebook, [as] K+ has also grabbed the exclusive streaming rights of many sports in Vietnam for many years,” he added. It remains unclear if Facebook users have to pay to watch English Premier League matches in Vietnam. But an expert in the pay-TV business anticipated that Facebook is most likely to air the EPL games to anyone anywhere without charge as it currently does with Facebook Watch, its video-on-demand service available internationally on August 30, 2018, according to Nguoi Lao Dong (Laborer) newspaper. “Therefore, people will find it difficult to accept that they are held back from watching the EPL for free, while they are now having to watch it via pay TV,” the expert said. And while Vietnamese broadcasters are still in shock and confused if Facebook will share the EPL streaming rights, whether the sub-license’s price will be too high, or what to serve subscribers if the tech giant keeps the matches for itself, their Thai counterparts have had the answer from Facebook. According to the Bangkok Post, Facebook will share the EPL games with traditional TV broadcasters, with one condition that their supporting programs such as commentaries before the matches must be played on the social media platform.